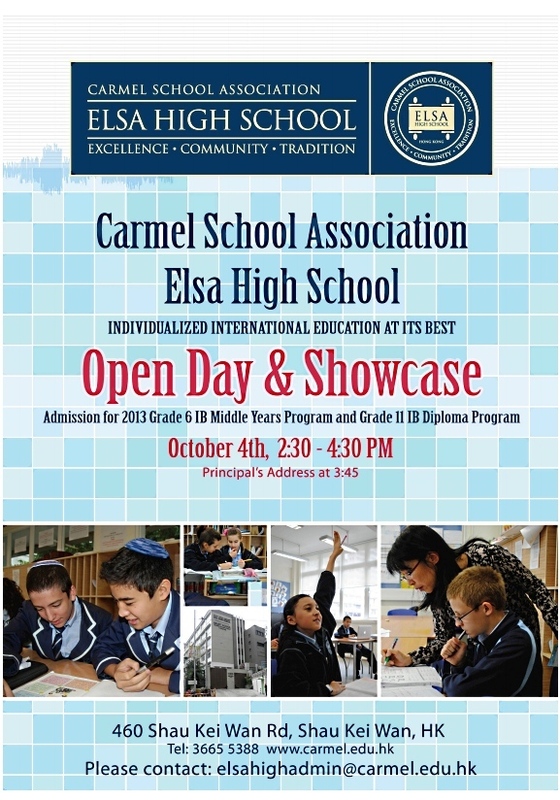 Carmel School Association's Elsa High School is hosting an Open Day & Showcase on October 4th from 2:30 - 4:30pm. Topics of discussion include admission for 2013 grade 6 IB Middle Years Program, and the grade 11 IB Diploma Program. Call 3665 5388 or email [email protected] for more information. Elsa High School is located at 460 Shau Kei Wan Rd, Shau Kei Wan, HK.